All sorts of fun Laguna Beach Activities! If you’re looking for fun things to do in Laguna Beach, you’ve found them! Laguna Beach is overflowing with amazing things to do! When people ask "what do you want to do" it’s not from a lack of choices, it’s usually because there are so many GREAT choices, that it’s hard to choose just one! (photo courtesy of PMMC) The Pacific Marine Mammal Center is a non-profit organization that rescues and rehabilitates seal and sea lions to eventually be released into the wild. You can visit their facility every day from 10am-4pm. Admission is free, donations are encouraged! Find out more at Pacific Marine Mammal Center. This has always been one of my personal favorite things to do in Laguna Beach! Visit the beautiful Hortense Miller Garden, tucked away in the private community of Allview Terrace. Tours are available Tues – Sat (9:45am to noon.) Visitors must make a reservation to visit (949) 497-0716. Admission is free, donations are encouraged! Find out more at Hortense Miller Gardens. (Top of the World Park) The city of Laguna Beach is dotted with fantastic parks. 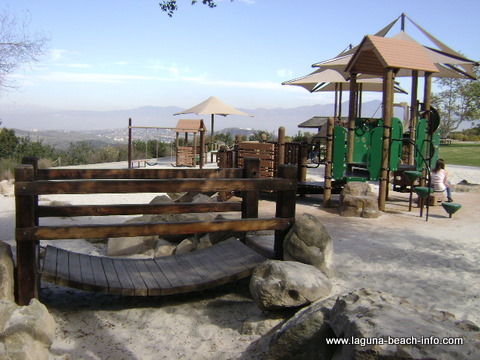 Each Laguna Beach park is different, but if you’re entertaining the kids, and lookinf for free things to do in Laguna Beach, many of Laguna’s parks have playgrounds, sports fields, sports courts- and virtually every Laguna Beach park comes with an incredible view. * Dog Park – take your furry friend to the "bark park"
Perhaps the most popular on the "Free Things To Do In Laguna Beach List" is spend a day at one of the countless sunny beaches! The natural rock formations and conditions are different at every beach, which makes each location perfect for a different kind of activity. www.robertpitt.co.uk Some beaches have great tidepools, others are more sheltered and perfect for snorkeling or diving, and some beaches have a shorebreak which is ideal for skimboarding. Then again, you might want to just sit out an tan in the sun! 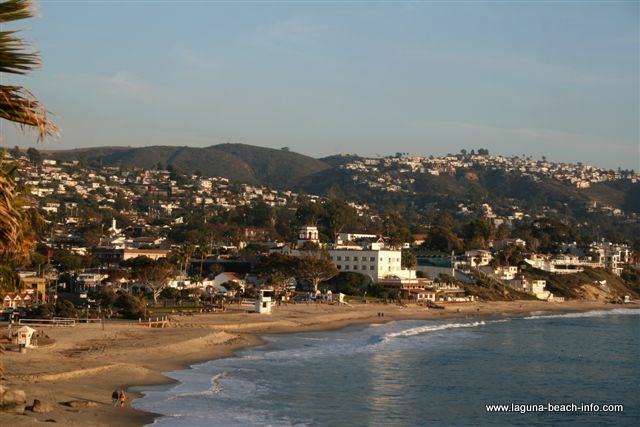 Check out all of the Laguna Beach beaches so you know which one to go to for your desired activity! Most people never realize that weaved in the heart of Orange County’s developed, urban metropolis are numerous wilderness parks and hiking trails, just waiting to be discovered. 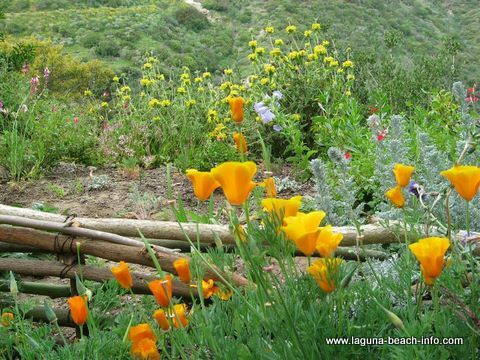 Find the perfect Laguna Beach hiking trail for your group and go exploring! If you’re idea of fun involves a little bit more physical activity, you’d probably enjoy some Laguna Beach sports. First on the "active list" of things to do in Laguna Beach, is ANY sport that has to do with water: surfing, kayaking, etc. But you can also find golf courses, basketball courts, volleyball courts, tennis, baseball fields, and cycling. Whatever your favorite Laguna Beach sport is- you’re sure to find locations with great views to enjoy your workout! La Vida Laguna rents and provides tours for kayaking, surfing, stand-up paddle, or biking in Laguna Beach. Many people’s favorite Laguna Beach activity is simply wandering through stores in the Downtown District. With so many different incredible and eclectic boutiques to explore, this has always offered some fun for everyone. If you’re looking for specific shops that you'll want to visit- you can find them at our Laguna Beach Shops page. Some things to do in Laguna Beach are going to cost you a little money, so if you don't mind paying a little for the experience, here are a few more ideas for some Laguna Beach activities! The Laguna Art Museum has both permanent and rotating exhibits to inspire your creativity. Regular hours are from 11am-5pm (plus extended summer hours.) Admission is $15 (Student, Senior, Military $12 and children under 12 are free.) Find out more about the Laguna Art Museum. Feel the wind blow through your hair and watch the coast zip by as you rent a moped! Beach City Mopeds in Laguna Canyon offers scooter rentals starting at $12. If you like more adventurous things to do in Laguna Beach, you can rent a mountain bike at either Rainbow Bicycles (in North Laguna) or Laguna Beach Cyclery (a little closer to South Laguna) and blaze the trails. Either shop will get you fully equipped to take on the rugged Laguna Beach Trails. You’re never too old to head out to the batting cages! Dust off the old bat and head to Batting Cages. In the category of "inexpensive things to do in Laguna Beach", you can always include flying kites. Most people don't normally think of kite-flying as a Laguna Beach activity, but with the great ocean breezes and wide open beach areas, just about anyone can get a kite soaring with ease! You can purchase a kite at Main Beach Toys right next to Main Beach! Regardless of what Laguna Beach activity you choose to do- Laguna Beach park, Laguna Beach sports, shops, museums, or whatever… you’re going to have a great time! If you’ve found other things to do in Laguna Beach that aren’t on this list! Let me know in the form below & and I’ll get them added! What Do YOU Like To Do In Laguna Beach? Did we forget to add your favorite activities? Or would YOU like to add your own comments about any of the activities already listed? Share YOUR thoughts with other visitors here! Enter the Title of YOUR Favorite Activity or Comments!